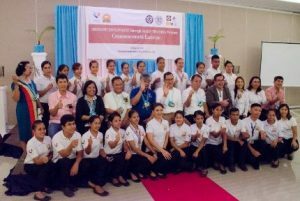 Forty-seven (47) Bridging Employment through Skills Training (BEST) Tourism scholars of Malampaya Foundation, Inc. (MFI) graduated on August 5, 2016 in a ceremony held at Asturias Hotel in Puerto Princesa, Palawan. The 47 graduates consists of 24 scholars for housekeeping and 23 for food and beverage services who completed their courses over a period of three months at the Technical Skills Development Authority (TESDA) accredited Puerto Princesa School of Arts and Trades (PPSAT). In addition to the course proper, the scholars are capacitated in English proficiency and personal excellence for individual development to increase their chances of success in their respective tourism fields. 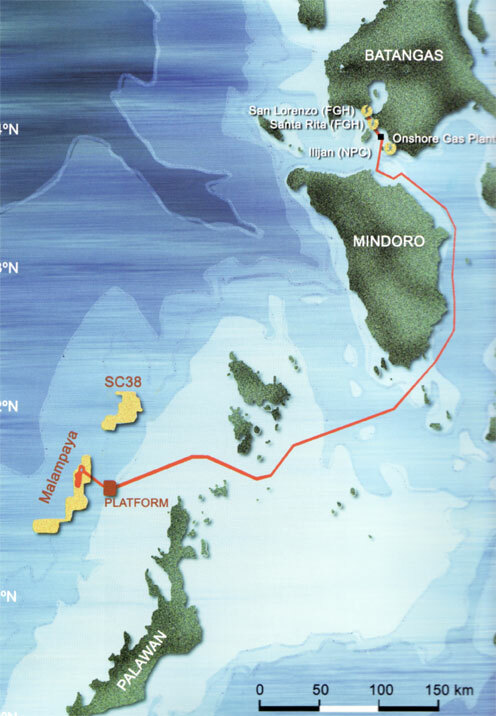 The ceremony was attended by honoured guests from project partners, Dr. Clarissa C. Posadas, VSA III–PPSAT; Dir. Renato M. Pantaleon, TESDA–Palawan Provincial Director; Atty. Joshua Bolusa, Palawan Provincial Administrator; Hon. Victor S. Oliveros, Puerto Princesa City Councillor; Dir. Karen H. Agabin, MFI Executive Director; Mr. Sebastian Quiniones, MFI Vice President and Shell Philippines Exploration B.V (SPEX) Managing Director; Mr. Don Paulino, incoming MFI Trustee and SPEX Managing Director; and Mrs. Corazon Manga, Technical Education and Training Head. Honoured guests took turns in addressing the importance of BEST and its contribution to nation-building. Pantaleon and Bolusa were optimistic about the young graduates’ futures in their inspirational messages. 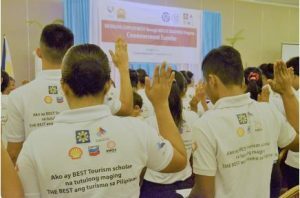 “Three million tourists to visit Puerto Princesa City—this is a great opportunity for all BEST [graduates],” said Oliveros in his inspirational message. Sebastian Quiniones delivered an uplifting keynote speech, emphasising the elements of success—diligence, hard work, continuous improvement, curiosity, ethics or “doing the right thing”, safety, and saving for the future. BEST Tourism was launched by MFI in Palawan in 2013 to help meet the growing demand for tourism-related services in the province’s burgeoning tourism industry. As of June 2016, there have been 4521 scholars in three different sites.